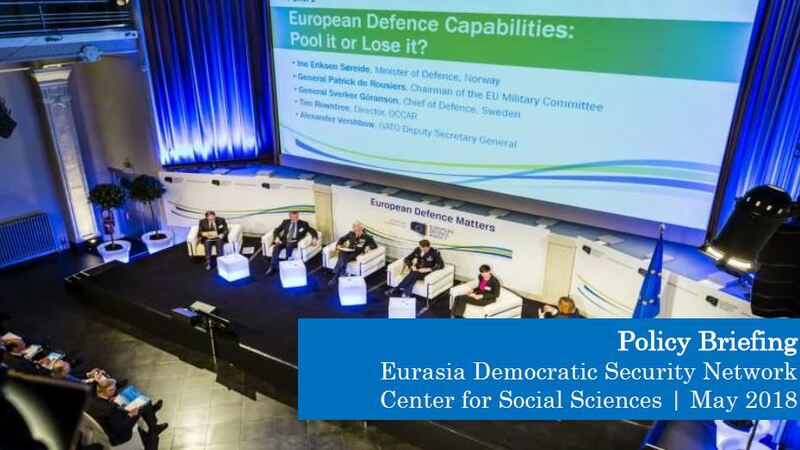 In Spring 2017, the Center for Social Sciences launched the Eurasia Democratic Security Network project funded by the National Endowment for Democracy (NED). EDSN established a platform for discussing and addressing issues related to the Euro-Atlantic integration and conditionality. In July 2017, CSS organized kick-off workshop involving the first EDSN cohort. The aim of the workshop was to establish the terms and scope of further discussions and activities of the newly initiated network, aimed at exploring avenues for promoting democracy and the rule of law in changing geopolitical circumstances of Eastern Europe and Eurasia. The following paper is based on the proceedings of this workshop and covers the concept of conditionality and Western versus regional perspectives. Other topics—conditionality and geopolitics, as well as the role of conditionality in economic growth and democratic development, will be discussed in separate papers. George Khelashvili is a lecturer of international relations at Tbilisi State University, and a team member of the Foreign Affairs Office of the Head of Parliament of Georgia. In 2013-2016 he served as a Deputy Chief of Mission at the Embassy of Georgia in the USA. Before his appointment at the Embassy, Giorgi worked at the Center for Social Sciences as the Director of Academic Programs in 2004-2006.